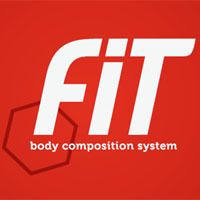 I’m on my way to getting fit with the most comprehensive body composition program in the world. Today is day one of my new nutritional routine which will also involve light exercise. I want to get back into pilates for now and gradually work my way up to cardio dancing. I am 60 years old and consistently reminded by my doctor that I’m pre-diabetic and borderline high blood pressure. My goal is to lose 2 pounds a week until I reach my desired weight which is 140. I have not seen 140 for about 20 years. So this blog will be my daily accountability and I plan to only weigh myself every Tuesday morning. Fit products are engineered to build lean muscle and burn fat. (Of course these statements have not been evalutated by the FDA. This product is not intended to diagnose, treat, cure, or prevent any disease.) But the Fit program also emphasizes proper nutrition and exercise to help you achieve a lasting healthy lifestyle. The proven bioactives in FIT products enhance and accelerate the benefits of smart nutrition and exercise–helping you achieve optimal body composition faster with longer-lasting results. Reset – 6 day cleansing formula. It detoxifies and gently cleanses; helps break through frustrating diet plateaus and jumpstarts my metabolism. I will drink one bottle for the next six days. Restore – Powerful Probiotic. It promotes better digestive health; enhances immunity; and helps relieve temporary constipation and gas caused by bad bacteria. Replenish – Balanced Multivitamin. Supplements the diet with safe nutrient levels; increases energy and vitality; and made with highly biavailable ingredients for rapid Absorption. Rebuild – Power Protein Shake. Builds lean muscle and helps burn more fat; prevents muscle fatigue; controls hunger; and sustains energy. Resist – Super Snack Bar. Provides protein and fiber; suppresses hunger pangs; builds lean muscle and burns fat; and maintains healthy blood sugar levels already within normal ranges. Reduce – Fat-Flushing Formula. Flushes fat from your body; may reduce risk of heart disease; improves nutrient absorption and controls hunger. I printed off the web-based menu as a guideline. I won’t have every food item listed, but it will help me with my choices of food to eat. The most important thing to keep in mind is calorie intake and which foods to stay away from. This has to be a lifestyle change not a diet that will be a temporary regiment. I want to build a routine that I can stay on for as long as my age will allow. I’ve never been into heavy aerobics, but I love pilates, ballet and taebo. I have small hand weights for the strength training. The program has to be one that I will stick with. I have a gym membership and I haven’t be using it. I will probably start back once I build up my enthusiasm for exercising again. If I don’t I won’t beat myself up, but I will exercise. When starting the FIT program, we strongly recommend that you form a FIT group. Members of a group can motivate, encourage, inspire, and support each other. I have one other person on FIT right now and we are going to support and encourage each other. I hope that as you following my journey. 1. Calculate your daily calorie goal at fit.tni.com/2452425. 2. Start the Fit program by taking the products every day as directed on the label. 3. Eat healthy staying with your daily calorie goal. 4. Exercise six days a week with a strength and aerobic training. 5. Every seventh day is a free day. Eat as desired within moderation. This is going to be my challenge because I hate to exercise, and I’m not in control of the meals. My mother-in-law is a great cook from Georgia. She’s 120 pounds soaking wet and doesn’t need to watch her weight. She will be on me about eating enough because she will be concerned that I’m starving myself to death by her standards. Well I’m going to give it my best.